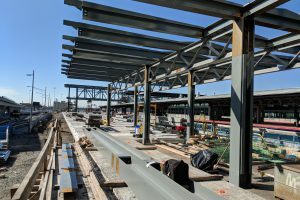 Phase 1 construction is advancing at the Jamaica Capacity Improvements Project. 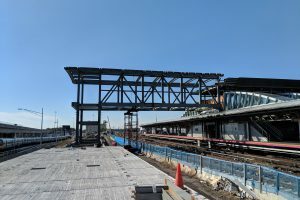 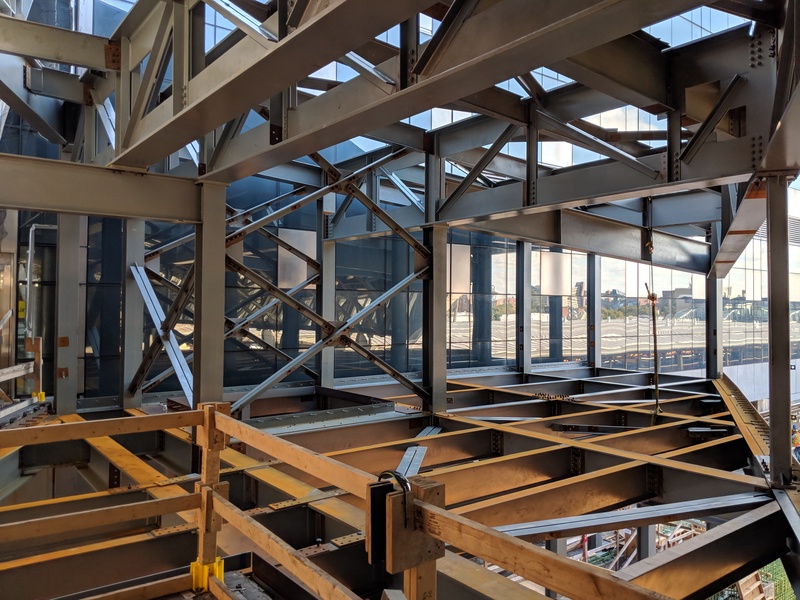 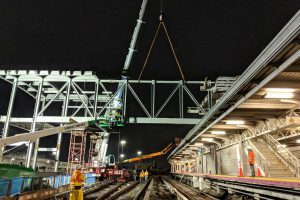 The steel erection of the portal bridge, which will serve as the connection between the new platform and the existing LIRR station mezzanine, has been completed. 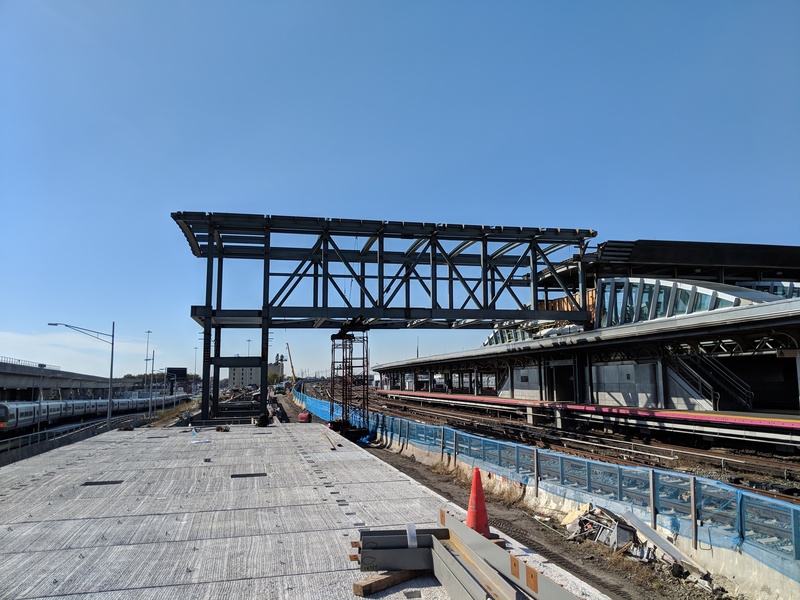 The erection of platform canopy steel is also in progress. 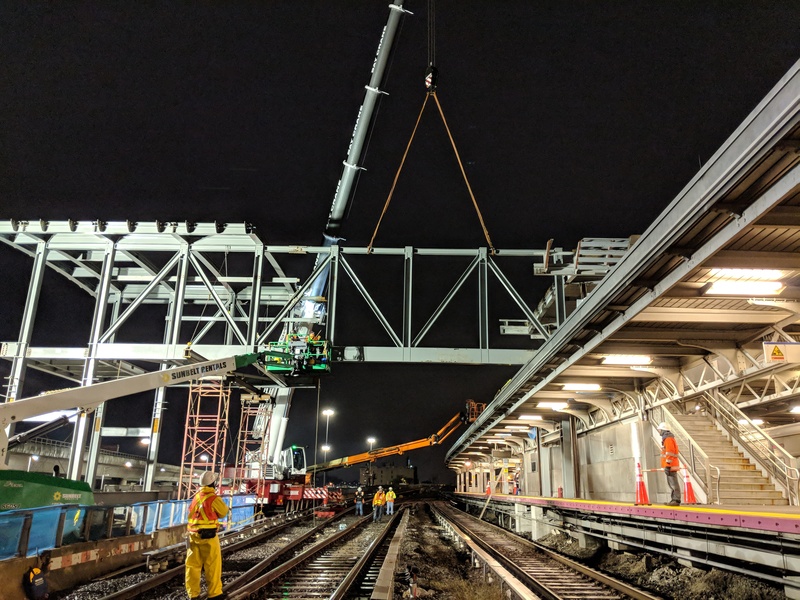 The erection of the westerly bridge, which will connect the new platform with existing platforms, was recently completed. 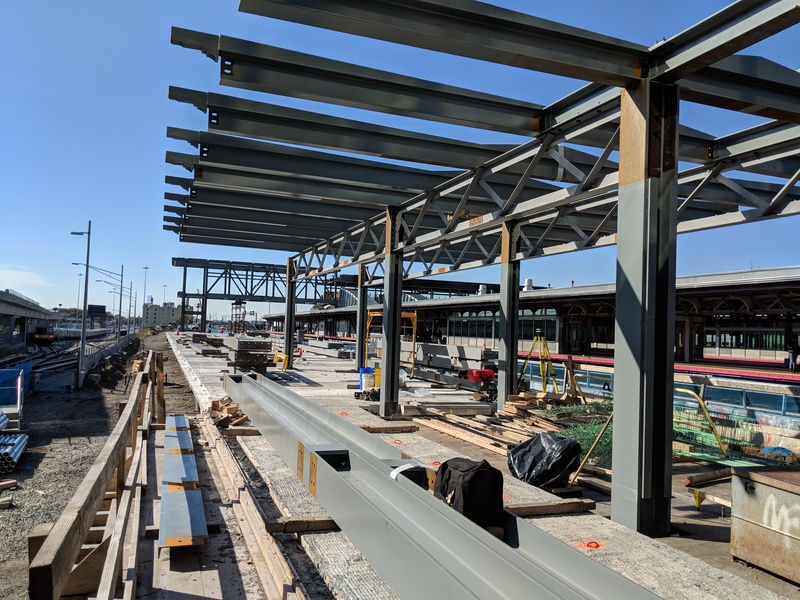 Platform F construction is progressing with the installation of concrete platform and the erection of canopy steel. 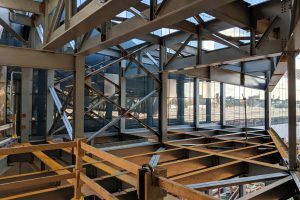 The installation of architectural elements to commence shortly.